1. HOW CAN I BUY FROM B & D? Call anyone of our sales personal and we would be glad to set you up with one of our distributors. 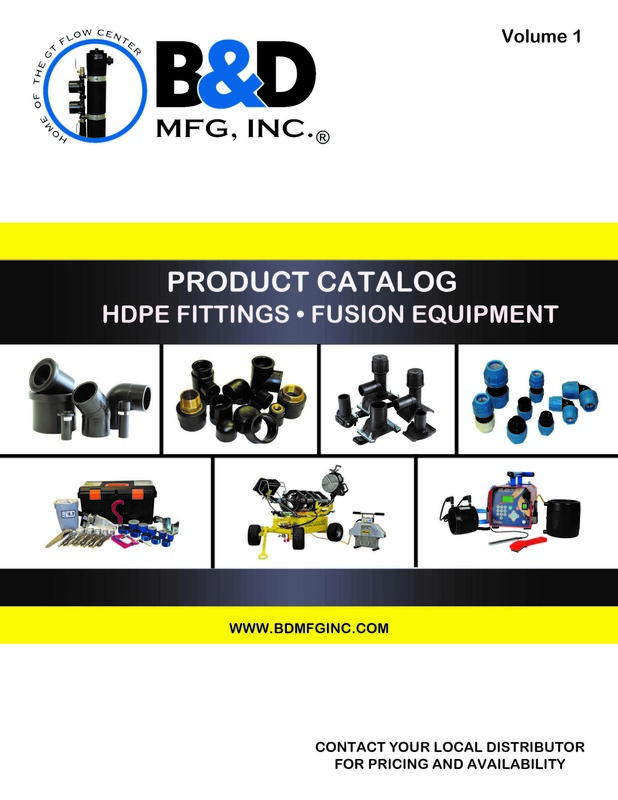 If you are a distributor and would like to sell our products feel free to call our sales department to fill out an application. 2. IS THERE AN ORDER MINIMUM? There is NO ORDER Minimum! You can order as much as you need and only what you need! 3. MY FLOW CENTER IS LEAKING FROM THE HANDLES OR OUT THE BALL VALVE HOLES? Check to see if the 1" o-rings in the swivel connections are cut or torn. Make sure no pipe dope/tape is used on swivels. These should only be hand tight. 4. CAN THE HP OR LOOPFIELD BE HIGHER THAN THE FLOW CENTER? Yes, up to 30 feet above the Flow Center. 5. DO I HAVE TO USE A FLUSHCART WHEN USING THE FLOW CENTER? The Flush Cart is only needed if your Header/Manifold is outside. You do not need a flush cart for an Indoor header. 6. CAN I OVER TIGHTEN THE LID ON A FLOW CENTER? Yes. It should only be snugged down hand tight. 7. CAN I OVERFILL THE FLOW CENTER? IF SO WHERE SHOULD I FILL IT TO? Yes. It should be filled at the bottom of the elbow on GT®'s and the top of the elbow on QT®'s. 8. WILL THE FLOW CENTER WORK WITH MY HEAT PUMP? Yes. The Flow Center is designed with the foot of head needed to work with any heat pump. 9. DO I HAVE TO SHUT DOWN MY GEOTHERMAL SYSTEM TO CHECK MY WATER LEVEL OR ADD ANTIFREEZE? No. As long as you are using the GT® or QT® (any non-pressurized Flow Center). Simply open the Lid on the top of the flowcenter to make any necessary adjustments. Make sure when you replace the Lid that it is hand tight only. 10. SHOULD I THROTTLE MY PUMPS ON THE FLOW CENTER WITH THE TOP OR BOTTOM BALL VALVE? Pumps should be throttled at heat pump, but if no valves are available, throttle with the top ball valve of the Flow Center. Never the bottom. 11. WHAT IS THE BEST WAY TO CHECK THE FLOW OF A FLOW CENTER? We highly recommend a Flowmeter tool but, you may use a pressure drop across the heat pump. 12. ON THE FLOW CENTERS, WHEN TWO OR MORE PUMPS ARE BOLTED TOGETHER DOES THIS CAUSE PUMP CAVITATION? No. It has been tested by the manufacturer of the pumps that it will not cause cavitation. 13. WHEN THE FLOW CENTER TURNS OFF, THE WATER LEVEL IN THE FLOW CENTER RISES. WHY? The water shouldn’t rise more than 3/4”. If it rises more that that it has air in the system and must be reflushed. 14. CAN I HOOK MORE THAN ONE FLOW CENTER IN A SERIES OR PARALLEL? No, because it will pump through the other flow center which will push the lid out. 15. CAN I FLUSH THROUGH THE FLOW CENTER WITH A FLUSHCART? No, because there is too much pressure and it will blow out bottom or top of Flow Center.